While majoring in accounting at Franklin University in Columbus, Ohio, Tim became registered as an Enrolled Agent to practice before the Internal Revenue Service. He received his Bachelor's degree from Franklin University in 1990. 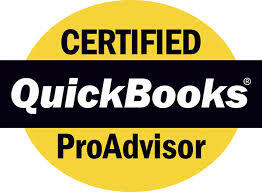 Tim earned Public Accountant status in 1983 and in 1988 received the designation of Certified Public Accountant. He continued to earn a Masters in Taxation degree from Capital University in 1993. Professionally, Tim is a member of the American Institute of Certified Public Accountants (AICPA), the AICPA Tax Division, the Ohio Society of Certified Public Accountants (OSCPA), and the OSCPA Taxation Committee. Tim also volunteers as the Chairperson of the Central Ohio Tax Club. Tim is the past Tax Administrator for the Village of Sugar Grove (1986 - 2011) and Village of Carroll, Ohio (1994 - 2011). 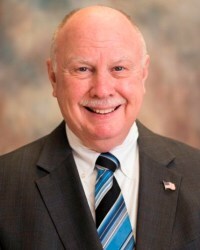 In the community, Mr. Oatney has served on the Board of Directors and on the Finance Committee of the Family Y, as Finance Chair and Treasurer of the City of Lancaster Board of Health, as Board Member and Treasurer of the Lancaster Chamber of Commerce as Chairperson of the Small Business Division, and as past President and Board Member of the Lancaster Kiwanis. In 1999, Mr. Oatney was named Kiwanian of the Year. Currently, he is a Board Member of the Board of Zoning Appeals for the City of Lancaster, and is an active member of Lancaster Kiwani and is Treasurer for Fairfield UPs.